18 recommendations and analyzes for green oil, compensation from frosts and droughts, production surpluses, buy out price, contract farming production, creation of support measures in rural development, subsidies, IPARD, poverty situation in rural areas, rural woman’s position, agricultural pensions, maternity allowance for rural women, excise taxes on alcoholic beverages, intervention purchase of wheat, proposals for competitive production of grapes and apple, were submitted to the to the Ministry of Agriculture, Forestry and Water Economy (MAFWE), the Ministry of Finance, Government of Republic of Macedonia, Ministry of Labor and Social Policy, the Agency for Commodity Reserves. NFF is a socioeconomic partner of the Ministry of Agriculture, Forestry and Water Management, participates in 9 sub-sector groups where the decisions adopted on agriculture and rural development represent an official recommendation to the Ministry and the Government. The Declaration on the Improvement of the Social and Economic Position of Women in Rural Areas signed by the National Federation of Farmers, the Rural Development Network in the Republic of Macedonia, the Ministry of Labor and Social Policy and the Ministry of Agriculture, Forestry and Water Economy on October 15 for the International Day of Rural Women . The NFF, supported by the National Roma Centrum and the Regional Office of We Effect in Skopje, prepared and submitted a report on women from rural areas in the Republic of Macedonia to the Committee on the Elimination of All Forms of Discrimination against Women of the UN and participated in its 71st session, specific recommendations for improving the social and economic situation of women from rural areas that are fully accepted by the United Nations. 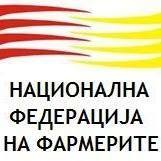 The NFF participated in the working group of the Government of the Republic of Macedonia for preparation of a Strategy for cooperation with non-governmental organizations. In cooperation with the Food and Veterinary Agency (FAH) and the Faculty of Agricultural Sciences and Food, NFF organized 4 workshops to improve the quality of milk production in accordance with the milk production regulation in the EU, which is in place since 2020. NFF together with the National Roma Centrum organized training for “Legalization of buildings and structures of agricultural land and other facilities and constructions”. NFF and the Faculty of Agricultural Sciences and Food prepared an analysis and recommendations for IPARD, agriculture loans and agricultural cooperatives that were debated and the recommendations were conceived from the National Convention on Macedonia for the EU, organized by the European Movement of the Republic of Macedonia. NFF organized the First Agriculture Forum, where recommendations were given for the implementation of contract production and dealing with climate change. NFF participated in the Project Board of the EU project for consolidation of agricultural land implemented by FAO and in the advisory group for changing the legislation for agricultural cooperatives, which is part of the EU project for development of agricultural cooperatives.